WILLEMSTAD - The free education will be eliminated. That will, if it is up to the cabinet-Rhuggenaath, take place starting next school year. Only parents with low incomes who really need support are still eligible for reimbursement of school costs. 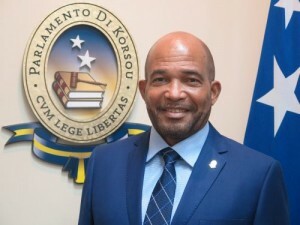 Minister Kenneth Gijsbertha of Finance reported this to the Committee for Financial Supervision (Cft). The Minister also stated that the so-called retainer agreements with law firms are being terminated. Almost all ministries have such a contract with local law firms to be able to call on certain agreed services. For that, 20,000 to 25,000 guilders per month are being paid. This year these agreements will be canceled. From 2019 onwards, the government only wants to conclude a retainer agreement for complex issues. These measures and others must reduce the costs of the government and an instruction from the Kingdom Council of Ministers must be prevented in this way.